Disclaimer: we do not replace the official government website. Instead, we provide a summary of the Canadian Citizenship application process. Always refer to Immigration, Refugees and Citizenship Canada (IRCC) to start and complete your citizenship application. You must have permanent resident status in Canada. You must not be the subject of an immigration investigation, an immigration inquiry or an order from Canadian officials to leave Canada. • Time spent serving a sentence for an offense in Canada and out-of-country traveling time may impact your total residency time. • The best way to find out your actual residency time is to use the IRCC Residency Calculator. If you are 18 to 54 years old, you will need to demonstrate that you are able to communicate in either French or English in order to become a Canadian citizen. If you are 18 to 54 years old, you will need to pass a Canadian citizenship test. You must have paid your taxes for 3 years during the 5 years preceding your application. If you have committed a crime, in or outside Canada, you may be ineligible for citizenship for a period of time. Please see IRCC – determine your eligibility for more details. • Fill out and print the citizenship application form. • Mail the form with all necessary documents (filled out, signed and dated application forms, proof of permanent residence, copies of two pieces of identification, two signed citizenship photos and the receipt of payment) to the citizenship case processing center. Please see IRCC for more details. • Citizenship and immigration Canada will send you a notice confirming their having received your Canadian citizenship application. • Start studying for the test as early as possible. The official citizenship test evaluates your knowledge of Canada. • Citizenship and Immigration Canada will send you a notice with the time and date for your test. • Your test may be written or oral. IRCC can make the decision to allow you to have an oral test based on a number of factors, such as, having difficulty reading and writing in English or French. • When you go to sit for your written or oral test, you must bring the originals of the documents that you submitted with your application. As well, bring any passport or travel documents relevant to the four years prior to your application. • If you do not pass the written test, but you meet the other criteria for citizenship, we will schedule you for a second test. This second test will usually take place 4-8 weeks after your first test, but the delay might be longer. If you are not available to take the test on that date, you must let IRCC know. If you do not pass the second test, IRCC will send you a notice telling you to appear for a hearing with a citizenship officer. Please see IRCC – prepare for your citizenship test for more details. • When you have met all of the requirements to become a Canadian citizen, you will be sent a notice to attend a ceremony to take the oath of citizenship. • You must bring all of your original immigration documents to the ceremony. • In a room full of other soon-to-become Canadians, you will take the oath of citizenship, therefore accepting the rights and responsibilities of citizenship. Following the oath you will officially be part of our Canadian family and will receive a certificate of Canadian citizenship. Please see IRCC – prepare for the citizenship ceremony for more details. Need help preparing for your Canadian citizenship test? 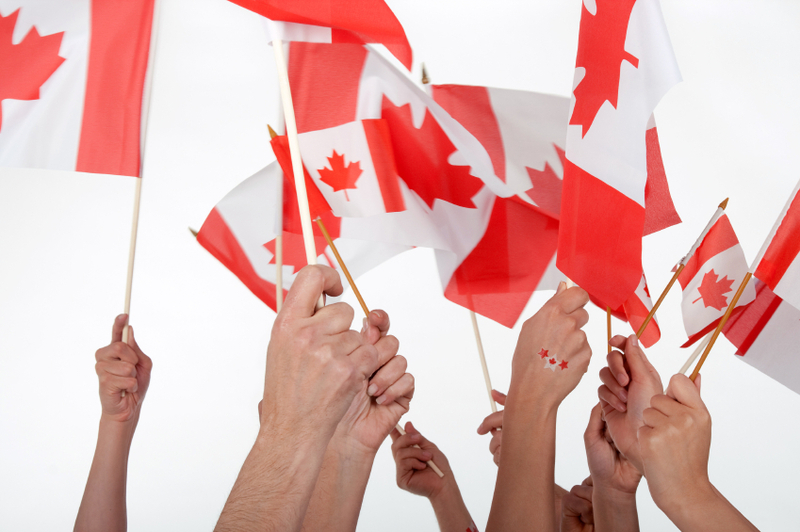 Learn more about our Canadian Citizenship Test – complete online training program! i applied for citizenship on Age 2011. and they said we started u r application on Apl 2012 . and after 17 months the citizenship sent a letter for me questionnaire documents . then i sent for them . now i passed 23 months but the citizenship didn’t give me date for exam. Hello Fari. Citizenship and Immigration Canada has a big backlog (too many applications and not enough personnel) and it is very usual to wait for a long time for any response. tnx for answer . if i call center ( immigration) and ask about my application is it bad for them ? because i called 4 / 5 times be for.thx and have agood day. Hello Fari. I don’t think calling CIC many times will compromise your application. Calling them many times will not speed up your application though. Good luck! CIC just started processing my application Sept 24 2013. How much time will usually go by until one is having to do the citizenship test? I will be overseas for one month in Dec/Jan, is it possible I could be invited to do the test in this period of time? Hi Natascha. They take a while to process applications, so you’d be lucky if they send you a citizenship test letter that soon, but you never know, so it would be wise to have someone open your CIC letters while you are away. Just in case. Do you have any idea how many months means that? My name is Davoud and I would like to inquire about the new Canadian Citizenship Act. I believe the Act has changed the duration to acquire Canadian Citizenship from 3 years to 4 years. I have been living in Canada for 15 years, and I have gotten my Permanent Residence at Oct 27, 2011. From the date which I got my PR, I have been a residence for two years and four months. Now I would like to know with the new Act would I be able to apply for the Citizenship, or I have to wait for another eight months until the three year is complete? I would really appreciate it if you help me with this inquiry. I got a letter with the study guide from CIC, it stated they started processing my application on January 15th, 2014. My son will be turning 18 in April. I need to know how long it will take before writing the test. I received 1 study guide, should I be preparing my son for the test too. I will appreciate your answer. The application was submitted in Sept, 2013. For any specific questions regarding your citizenship application process (and your son’s), it is best if you call Citizenship and Immigration Canada Call Centre at 1-888-242 2100 (Monday to Friday, 8 a.m. to 4 p.m., your local time, except for statutory holidays). Good luck! We were invited to take the test close to 2 years after we received the booklet. Only one booklet arrived so we had to share it. I recommend reading it from time to time to get used to the phrases, names, years and concepts. The booklet is slim but don’t underestimate it and don’t leave it till the evening before the test either. I have noticed a lot of questions being asked here ARE CLEARLY IN THE C.I.C CITIZENSHIP APPLICATION GUIDE. People, READ THE GUIDE OF THE APPLICATION YOU HAVE APPLIED FOR!!! All your answers are in there. Also READ ANY CORRESPONDENCE from CIC, ALL INSTRUCTIONS ARE IN THERE AND PHONE NUMBERS YOU CAN CALL FOR MORE INFO. TOO MANY PEOPLE, ASKING QUESTIONS THAT HAVE ANSWERS ALREADY, BUT CAN ONLY BE OBTAINABLE THROUGH READING. GEEZE…I HOPE IM MY APPLICATION IS AHEAD OF YOU ALL!!! I sent in my application twice and it came back missing some information, but I have check and check before I mailed it off. Is there any office to have the information to make sure I have that is required. The way you do when you apply for a passport. I did the test on May 30th this year and passed it. They said they will be sending the notice to attend the ceremony in about 6 weeks. Do you know how long it does actually take to receive the notice? and how long time apart is the ceremony to when they send the notice? I’m traveling in October and I need to consider that I’ll need to get the Canadian passport after the ceremony, also my Resident card is expiring in November. It’s hard to know exactly when you are going to get the ceremony notice. Maybe you should postpone your travel until after the ceremony? I applied for Citizenship process from Oakville Ontario in October 2012 (22 months ago) and my case processing started in January 2013. Yesterday I called CIC call center and got reply that my case is sent to the nearest processing center from my area (Hamilton) in December 2013 (8 months ago) and I have to wait for test date. What is the maximum time frame to wait for the test Schedule? lol that’s cool to be a Canadian citizen of Canada. we have arrived canada in 31 Jan 2012,can we submit to citizen ship. and my wife’s birthday was in1954,has she to do the test? You have to be physically in Canada as a landed immigrant for at least 3 full years (in the last 4 years) before you can apply for citizenship. usually what kind of originals of the documents i should bring with me when i go for my written test? have been a year since i submitted my application i forgot which documents i submitted at that time,anyone can help me? Hi dose anyone the time frame for application if you are over 55. If you are 55 years of age or older when you apply, you do not have to take the test. You need to update your website as CIC have changed the conditions and eligibility for applying for citizenship. Thanks Niles, yes we need to update our website indeed! Hi, im waiting fr my citizenship, if i will be accepted as citizen will my two sons will be automatically canadian citizen? I didn’t put thier names when i apply for my permanent residence but i put them in my citizenship application. Please help. You should ask Citizenship and Immigration Canada Call Centre at 1-888-242 2100 (Monday to Friday, 8 a.m. to 4 p.m., your local time, except for statutory holidays). Good luck! For any specific questions regarding a citizenship application process, please call Citizenship and Immigration Canada Call Centre at 1-888-242 2100 (Monday to Friday, 8 a.m. to 4 p.m., your local time, except for statutory holidays). Good luck! Hi, I have completed my test and passed. I received another letter after that asking me for more information, they asked for all my tax returns, letters of employment and they asked me to get a document from the US to show my ins and outs. I called the Us border and they said they cannot provide such a document, all this is because I missed 1 date from my passport from October 2011 when I went into the US for not even 24 hours to do Christmas shopping. Is this normal?, after my test I had an interview with a woman who was very unpleasant and made it feel like an interrogation. I am worried now that I may not get the citizenship, I thought after the exam I was done. I sent all my tax returns, I got letters of employment and I wrote a letter telling her what the US border had told me. I also went on to apologize for missing the date in the passport and explained it was just a shopping trip, what are your thoughts? will I be ok?. I Would like to know how much is the citizenship right now please and thank you . you are over 55 years old? But if they are 65 or older, they don’t have to meet the language requirement and the citizenship test requirement. I applied for my citizenship in September 2017 and they ( IRCC ) recieved the application in September second week and started processing my application in November first week as I have been checking the status online almost on a daily basis since then which shows “In Process”. It is now March 2018 and almost 6 months since I applied and I haven’t heard anything back on my application except the inital acceptance recieved confirmation mail and the “Discover Canada” guide link. From my experience most people in my circle have recieved their citizenship within 4- 6 months ( 1 person even got it in 3 months ) but I haven’t even recieved an invite for my test let alone citizenship. Any thoughts / suggestions / personal experience / feeback ? I am getting a bit frustrated and worried. Don’t worry, I applied months ago and I haven’t heard after the confirmation letter. With the time frame change I think it make take a while to get it. It says a year or so to finish the process. Have you hear anything from them yet? I’m in the same boat as you. I have travel plans and I couldnt go without my citizenship as my PR had already expired. I am in a similar situation. Did you get any update afterwards? Hello Its been more than 8 weeks I have given my test of citizenship and interview too but I haven’t received any mail or call, with my result. I did pass my test but I am not sure what happened. My friend received call for oath within 4 weeks . If I have been denied citizenship- does it take longer? I’m still waiting for an answer, Do you know if the should give back an answer before one year after they received my application? I am married to a Canadian citizen and we have a son born here. I am permanent resident card holder and want to be a Canadian citizen, is there a faster way to acquire Canadian citizenship since I am married a Canadian citizen. We were married in Vancouver on 2006. Hi I have a question regarding the use of a representative. I have appointed and signed the Use of Representative form. Can my representative sign my application form and my physical presence form on my behalf? I applied for my citizenship in February 2018 and I am still waiting for the citizen test…whenever I check my citizenship status through online…it shows in process. any suggestion?